About Us – Petrucelli, Piotrowski & Co., Inc.
We are pioneers in the forensic accounting field, with over 30 years of experience. We have grown with our clients because we work for the long-term relationship with those who choose to hire us as partners. Petrucelli, Piotrowski & Co, Inc. strives to provide each and every client with knowledge and expertise that is unmatched among others. We want each of our clients to feel like they’re our top priority, no matter what legal or tax difficulties they might be facing. We’re dedicated to our partners because we invest the most time, energy and expertise possible on each project. Partners Joe and Tim met working for an accounting firm in Edison, NJ in the 80's. Little did they know at the time, that experience would turn into a lifelong friendship and partnership. After studying for the CPA exam together, Joe and Tim worked for other companies until one day they decided to go into business together. 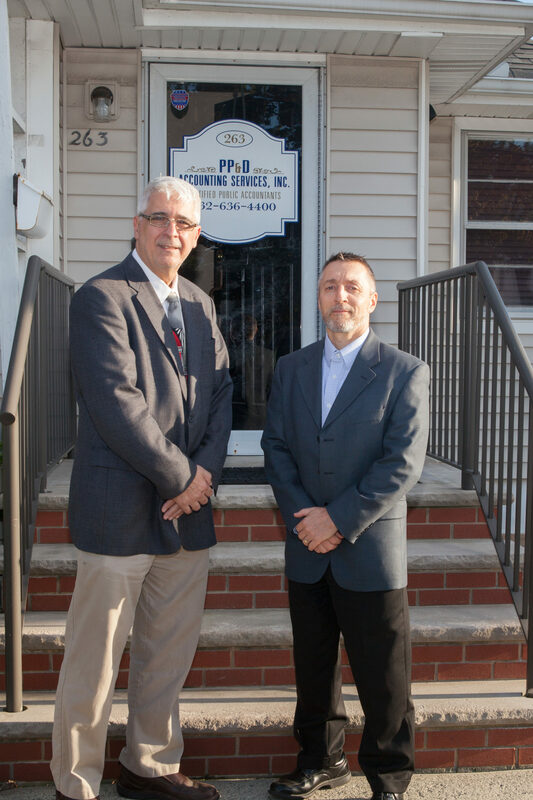 Petrucelli, Piotrowski & Co, Inc., formerly PP&D Accounting and P&P Accounting, opened up its doors in Woodbridge, NJ in 2001. Thanks to you, our firm has grown so big we opened up a second set of doors in Deerfield Beach, Florida February 2019. Choosing the right certified public accountant can be a challenging task. It's crucial to have someone who can provide proper accounting advice during every stage of your venture. Here at Petrucelli, Piotrowski & Co. you will find our team is knowledgeable, communicates well, and helps you strategize and maximize your finances. CPA, CFF, CGMA, ABV, FCPA, CVA, MAFF, PSA & CFE. CPA, CFF, CMFO & PSA. Dylan graduated from The College of Staten Island with a BA in Accounting and Florida International University with an MBA in Business Administration. Amanda graduated from Mount St. Mary College with BA in Accounting and an MBA in Business Administration. Want to learn more about our amazing team?